Marcie D. Bour, CPA/ABV, CVA, CFE, MAFF, ABAR, CDBV is a Partner with Yip Associates, leading its Valuation Services Team. Ms. Bour has over thirty (30) years of professional experience and provides business valuation services, forensic accounting, and litigation consulting services to businesses and individuals in Florida and throughout the United States. She has provided expert deposition and trial testimony in Federal and State Courts regarding shareholder disputes, matrimonial matters, economic damages, alter ego and usury cases. 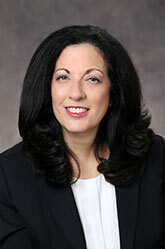 She consults on valuation and other issues for divorce cases. Her valuation and litigation experience cover a variety of industries. Ms. Bour served as Chair of the Board of Governors of the Institute of Business Appraisers, and has served on the National Association of Certified Valuators and Analysts’ Executive Advisory Board and its Litigation Forensics Board. She is also a past president of the South Florida Affiliate of the American Women’s Society of CPAs, and of the North Dade South Broward Chapter of the FICPA where she remains on the board as a Director. She served three terms on the Florida Bar Grievance Committee and a term on a Florida Bar Unlicensed Practice of Law Committee. Ms. Bour has been an instructor in the area of economic damages and previously led a team to develop a three-day workshop on Business Interruption Losses and Claims. Ms. Bour has spoken at national conferences on lost profits, economic damages and business valuation, and speaks regularly at local and regional venues. She is also a co-author of Financial Valuation, Applications and Models, 3rd Edition, published by Wiley & Sons. Ms. Bour graduated from Emory University with a Bachelor of Business Administration, earning distinction in Accounting. Prior to joining Yip Associates, she founded Florida Business Valuation Group, a boutique forensic accounting and business valuation firm.